Calibration mode available for ORP at different temperatures. 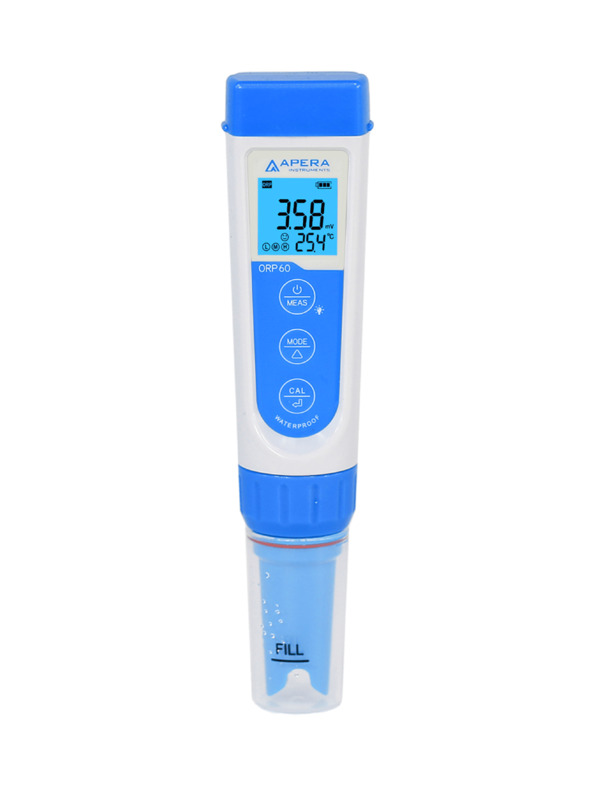 The Apera Instruments ORP60 tester is designed for reliable ORP (redox) monitoring in regular water solutions e,g, pools and water treatment. The platinum ORP probe is replaceable and easy to install, so you don't have to buy a whole new meter once the probe is aged. Manual Calibration with 222 mV standard in the kit. 1 mV/±0.2% F.S, 0.5°C accuracy with -1000 to 1000 mV measuring range, an indication of stable values (optional auto hold function available) improves consistency, saving you the trouble of guessing when to manually hold measurement (with optional auto hold function). A Large clear 180° viewing angle screen with 3 backlit colors (blue for measuring mode, green for calibration mode, red for warnings), it supports dual display of temperature/pH value and stable readings (with a smiley face). Comes with a complete kit of premixed standard solution (222 mV), soaking solutions (KCL), AAA batteries, and a lanyard all in a portable carrying case. Easy menu setting, customizing your tester according to your needs. 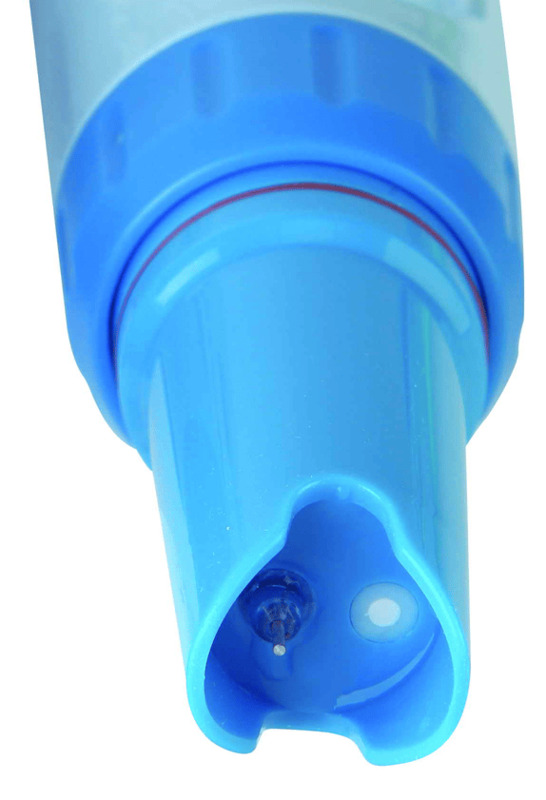 IP67 water-proof and dust-proof, floats on water so you don't have to worry if dropped in water by accident. Longest 2000 hours' continuous operation (without backlit) powered by 4 AAA batteries (with low power warning and auto power off in 8 min if no operation). 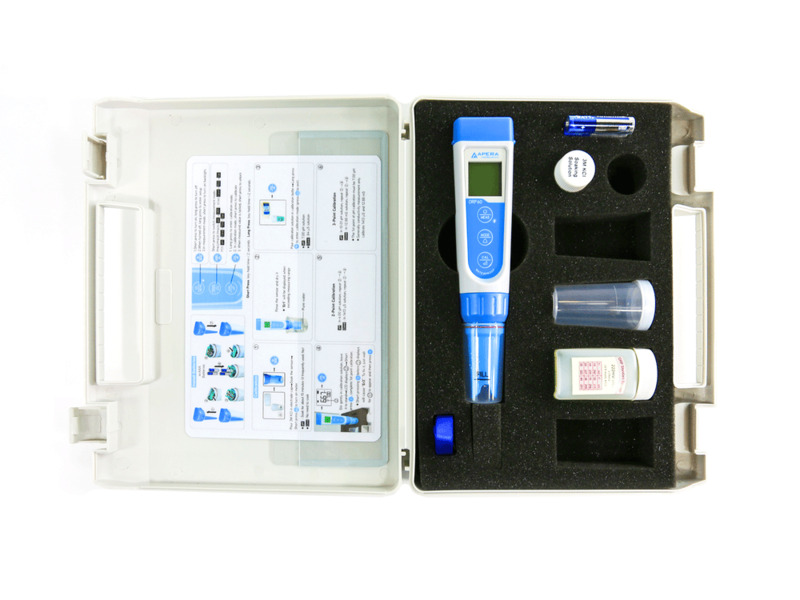 Warranty: 2 years for the ORP meter, 6 months for the ORP probe. Regular water solution testing, such as pools and spas, hydroponics, tap water, drinking water, water treatment, aquaculture, etc.